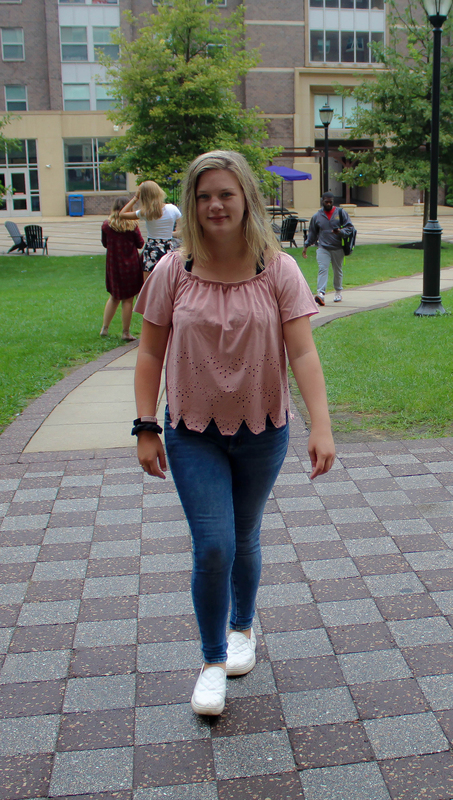 Ally Donahue is a junior at West Chester from Feasterville, PA. She describes West Chester as “a growing town with lots going on” which is why she loves living here. Her hometown was “small with not much to do” which is why she enjoys the endless opportunities that this town offers. Her favorite restaurant to go to is Couch Tomato, she orders the food pyramid salad. She is graduating in 2020 with a major in communications and a minor in media and culture. 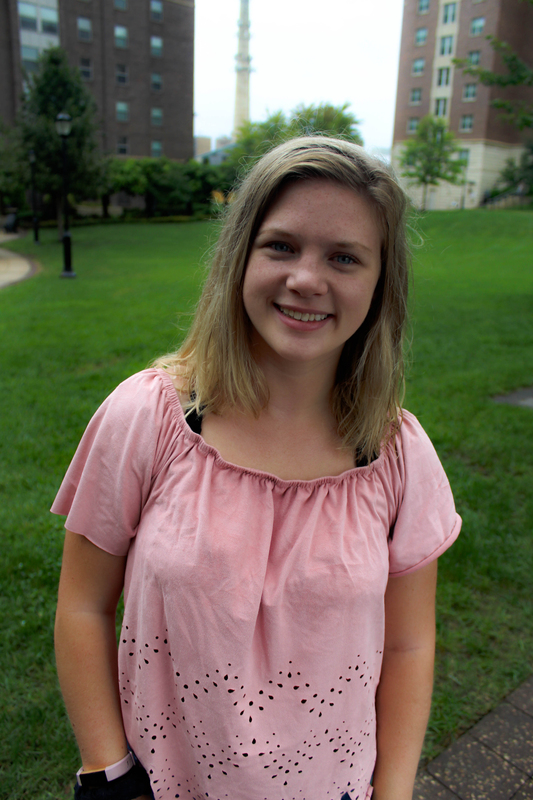 Her favorite communications course that she has taken is Media Literacy because it gave her a different insight to the world and social media. She spends her time participating in many organizations. These organizations include PRSSA, Alpha Delta Pi and Rams Studio. In ADPi, she has maintained the community service chair since November 2017. At the Rams Studio, she manages their social media. This role has benefited and expanded her knowledge on communications because the hands-on learning experience. 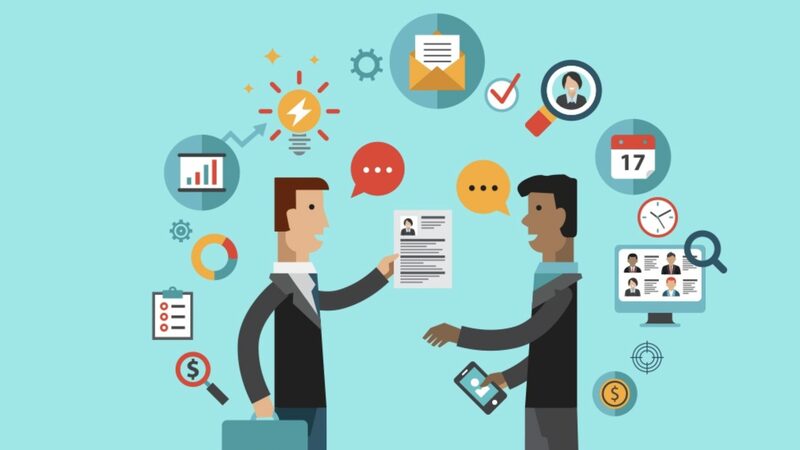 She plans to get an internship in the next year to be a job recruiter, so people can find career paths that they love. In Ally’s case, her dream job is a pharmaceutical sales representative because “you get to help save patients’ lives by marketing new products to people who need them.” She chose this major because she always wanted to work with people but was unsure what capacity to do it in. 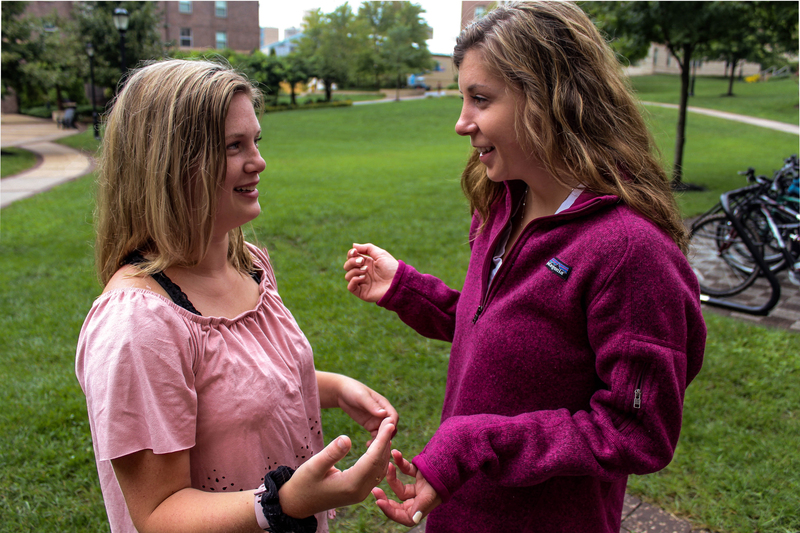 Then her roommate freshman year, Lindsay Alderman, talked about how much she loved the classes and the wide variety of jobs offered with a communications degree. This convinced Ally to declare a major in communications studies her freshman year. She also owes gratitude to her family for helping her get this far. Both her mom and dad made a big impact on her life. Her dad engrained in her from the beginning of her educational career the importance of obtaining a higher degree. He also encouraged her to work hard to reach her goals in school, work and life. Her mom taught her that it is okay to express your emotions and talk about what you are feeling. Additionally, her mother taught her how to be a good person and a friend to everyone. One of Ally’s goals to accomplish after graduating is to travel to Europe, tour around and visit many cities. As much as she loves college she can’t wait to see where her degree will take her. Another goal of hers is to be able to support herself and give back to her parents who have been her support system her entire life. This summer she worked in Wildwood as a server at Uries restaurant. When her friends were asked to give qualities about her they described her as loyal and organized which Ally has always strived to a be known as. Some interesting facts about Ally are that she was born on her great grandmother’s birthday, March 4th, her favorite show is The Office, her favorite movie is Something Borrowed, and her favorite food is mashed potatoes.